voting rights for research, teaching, extension faculty. We are looking for ways to improve representation for the thousands of academic titleholders who are distributed across the colleges. The Committee has this charge and these members. 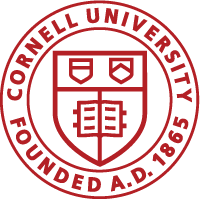 Assembled on this background webpage is information on how titles, title modifiers, and shared governance work at Cornell. Also provided are links to a recent survey of NTT titleholders, a 2004 Senate Report, and how NTT representation is handled at peer institutions. Our final recommendation are based on reactions to a preliminary proposal that we shared with the community in September.